The Real Face of Tablighi Jamaat? Tablighi Jamaat has only one face that is Real. Tablighi Jamaat only objective is to help Humanity to enter into paradise the eternal success.PARADISE FOR ALL HUMAN BEING. EVEN NON MUSLIMS ARE OUR REAL BROTHERS AND SISTER AS ALL OF US ARE SON AND DAUGHTER OF AADAM ALAIHISSALAM. All will know it on the day of Judgment. Below book is an attempt to tell the truth to some of the brothers who are confused because of some reasson. Some issues are because they have not seen from close. Some are because of widely prevalent culture of Groupism and bashing business going on in Ummat. May Allah help the Ummah. 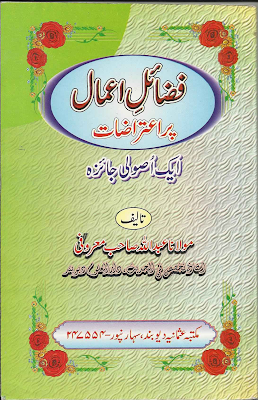 Below book in urdu deals with first two type of issues. Regarding Groupism and bashing business mentality no solution is easy. All are requested to do dua to save ummat from groupism and bashing business. 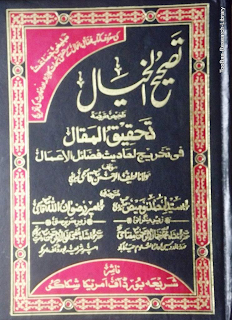 FAZAIL E AMAAL PAR Kuch logon ke uthae gaye sawalat o Ashkalat ka Quran o Hadith ki Roshni mein Ahle Sunnat Wal Jamaat Ulema ki janib se Tajziya. Is mauzuh par yeh kitaben haq ko wazeh karne ke liye likhi gayi hain taki ummat ko kisi jhoote propaganda se bachaya ja sake. Allah Ham sab ko Kitab o Sunnat ki sahih pairwi ki taufeeq ata farmae aur nafs o shaitan aur group bandi ke dhokhe se bachae.Group Bandi ek aisi bimaree hai ki admi quran hadith aur salfus salehin ki samajh ko chodkar dusron ko girane aur zaleel karne mein bahut door chala jata hai. 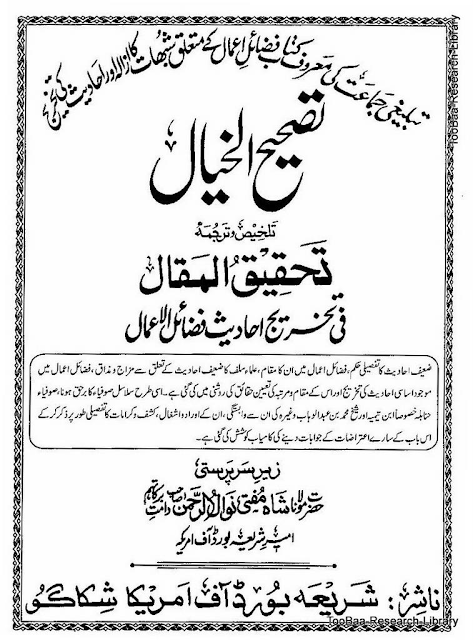 COLLECTION OF THE LETTERS OF SHEIKH AL HADITH (R.A) ANSWERING THE MISCONCEPTIONS OR DOUBTS REGARDING HIS BOOKS OF FADHAIL.